Left-wing populist Andrés Manuel López Obrador leads polls for July 1 presidential elections. AMLO, as he’s known, pledges infrastructure and social spending funded by ending corruption and waste, without higher taxes or debt. It won’t add up. For good or ill, he’ll underperform. Mexican leftist presidential candidate Andrés Manuel López Obrador has widened his poll lead ahead of an election on July 1, a survey by newspaper Reforma showed on May 30. 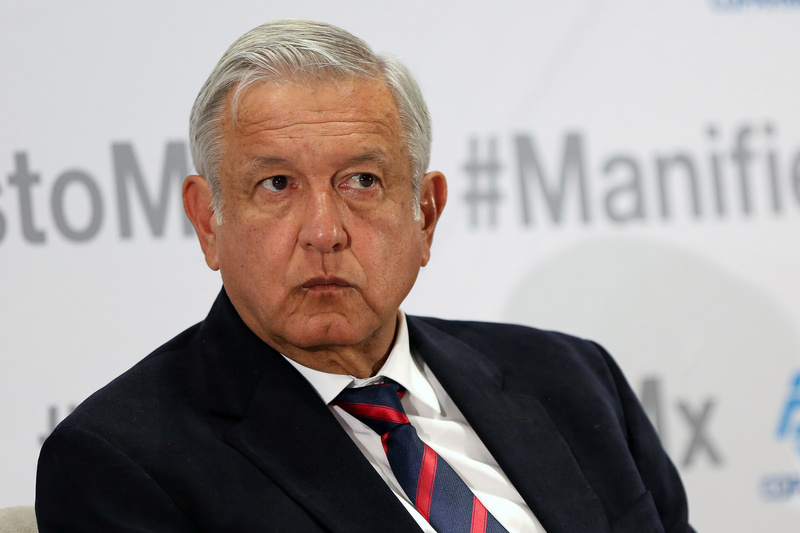 The May 24-27 voter poll showed the 64-year-old former Mexico City mayor with 52 percent support, up 4 percentage points from a Reforma survey carried out in late April. Second-placed Ricardo Anaya, who heads a right-left coalition, lost 4 percentage points to 26 percent. In third place was Jose Antonio Meade, candidate of the ruling Institutional Revolutionary Party of President Enrique Peña Nieto, whose backing rose 2 percentage points to 19 percent. Peña Nieto cannot seek re-election under Mexico’s constitution.